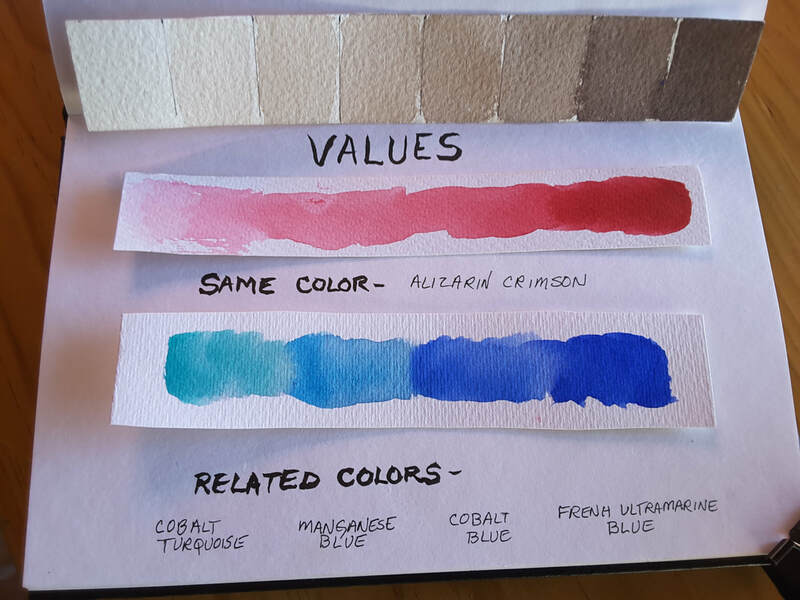 Are you unsure how best to apply watercolor to your sketch so that it enhances your drawing? Do you sometimes feel your watercolor is dull, overworked, and lifeless? The key to adding drama, punch, light, energy, form and interest to your drawing is to focus on VALUES. Explore example sketches to understand WHY attention to value makes such a big difference. ​Learn HOW to make beautiful lights and darks with your watercolors. ​Discover WHERE to apply lights and darks in your sketches, so the end result has punch, light, and drama. 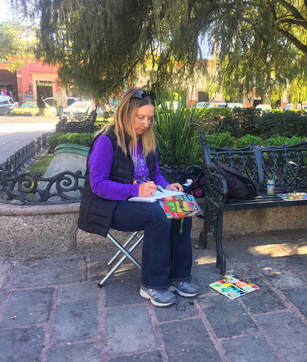 Laurie Richards had completed a career in cross cultural education and information technology when she began writing and illustrating children's stories. Given her love of technology, Laurie initially worked extensively in digital art, yet use of traditional art materials and urban sketching came later. 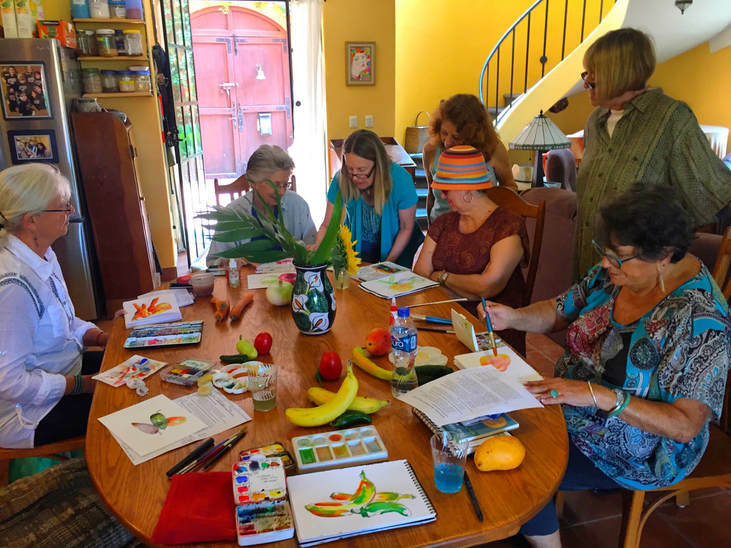 In this workshop Laurie shares her love of teaching and her enthusiasm for watercolor with others who love to sketch. 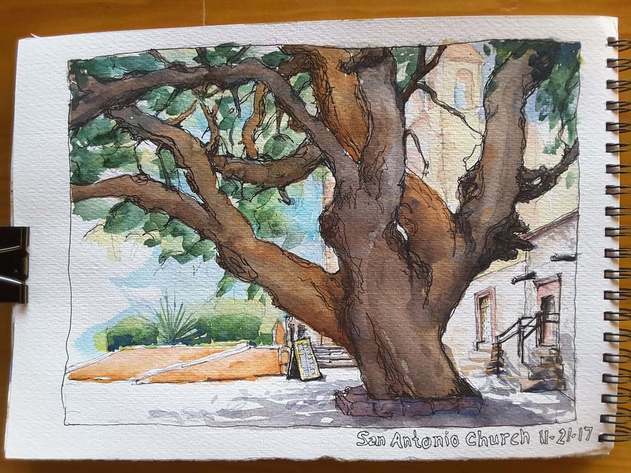 ​Laurie is also available for one-on-one consultations if there's something specific in your watercolors you'd like to address. Please contact her directly here to schedule an appointment. 1. We will provide a David's delicious homemade pizza lunch mid workshop; if you do not care for or cannot eat pizza, please bring something else. 4. Bring your enthusiasm and desire to have fun! Oh, and bring your workshop fee of $500. Please select which class date you are interested in attending.